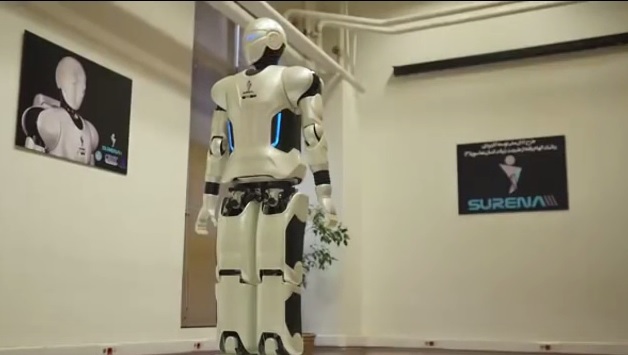 Surena 3 – Iran’s Cool New Humanoid Robot - Word Matters! You don’t hear much about progress in science and technology from the Muslim countries in Middle East, but Iran is an exception. It is increasingly becoming known as a country that makes news for its robotics. Surena 3 is the latest product of Iran’s research in robot technology. Last month, Daily Mail published a story about Surena III, an android that stands over 6 feet tall and weighs more than 200 pounds. Developed by the University of Tehran, the android can speak and understand human language – in its case, Farsi (Perian) and can interact with people. It can walk uneven terrain and grab objects. Developed over a course of four years, under the lead of Professor Yousefi-Koma, Surena III presents a totally different side of the war-torn and incompetence-ridden Ilamic Middle East with a medieval-like-mindset that only seems interested in war and war-related technology. But look at Surena III and you see a cool andy with every bit of potential to be your next techno icon. It’s worth adding that Iran also won the Robot Soccer 2014 final against Germany. The video of the match shows Iranian Basets winning 8:4 against their German Nimbro players. Pingback: Robot Psychiatrists – The Threat to Human Consolation - Word Matters!